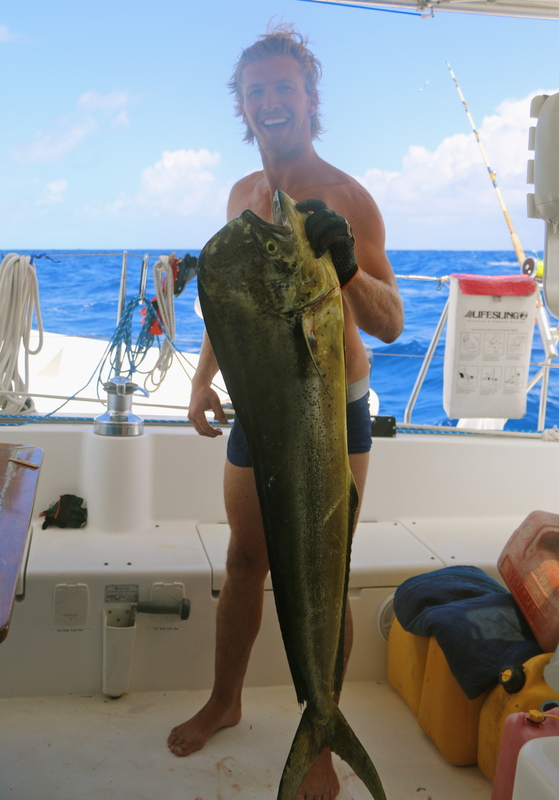 What would be a quick morning sail without a Mahi Mahi on the line? Snagged another one today, and it may be all the practice or perhaps we’re actually just getting the hang of this sailing business, but we got this bad boy aboard like a couple of old pros. 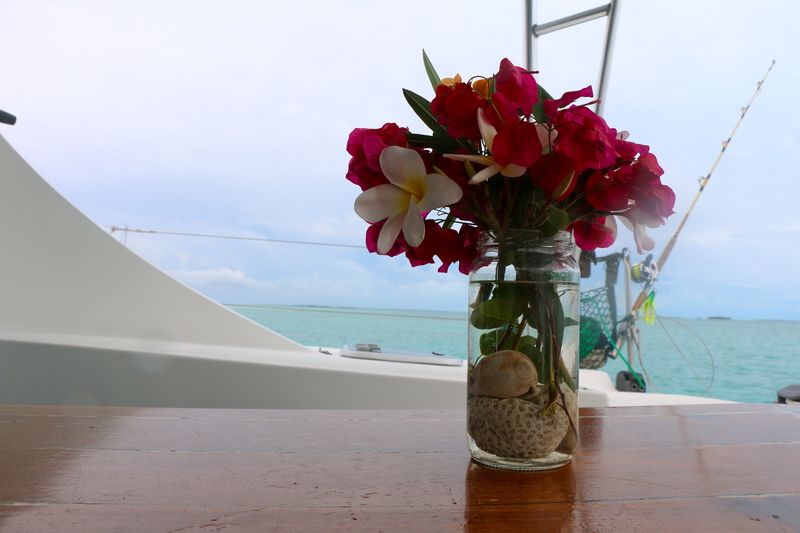 Of course we were full sail clipping along – it seems this is the only way we catch fish. Line starts to scream. Greg goes over and tightens the drag and sets the hook. I turn Oceanna into the wind. Next Greg is on the furler and I’m letting the jib line loose – jib in. Greg then suits up with gloves and his “battle stance”. I’m busy reeling in the other three fishing lines as not to get criss crossed. As Greg battles the fish to the boat I’m stowing the running rigging and generally clearing the cockpit for the arrival of our newest fishy friend. 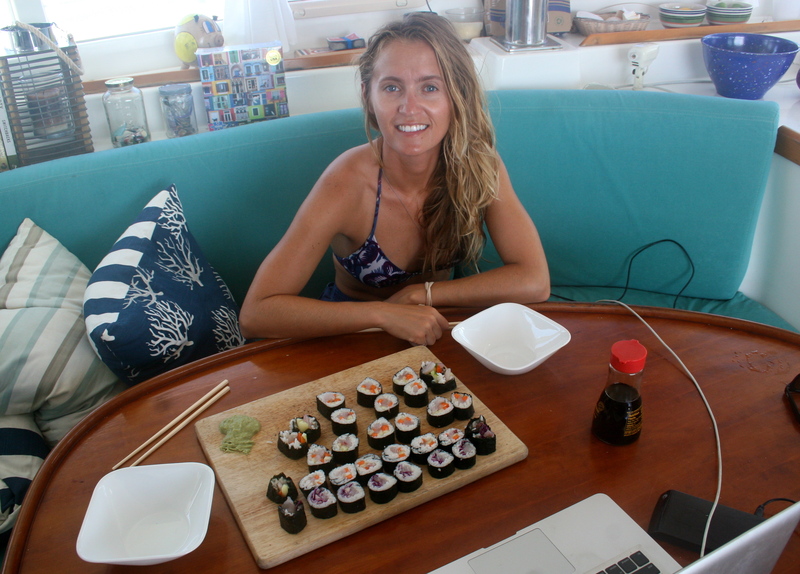 Fish to the boat, rum out, and voila – it’s time for sushi! Unfreaking believable…. you guys look great and the sushi looks yummy!! Sounds like you have it down to a science!!!! Love the pics !!!! Amazing! Nice catch Greg! Always fishing in your undies.